Ocean Outdoor is to float on the London stock market after its private equity owner, Searchlight, sold to new investors, Ocelot Partners, in a £200m deal. Ocelot Partners, a listed investment group, said it sees "a clear synergistic opportunity for consolidation" and potential for digital growth in the UK out-of-home sector. The deal could be a catalyst for further M&A in a sector where there are at least five other OOH businesses that are owned by private equity and consolidation has appeared long overdue. Ocelot Partners said it regards Ocean as "an ideal platform acquisition" to do further deals and "scale" the business. Ocean Outdoor’s management, led by chief executive Tim Bleakley, will remain in their roles in the business, which has positioned itself as a digital pure-play OOH company. 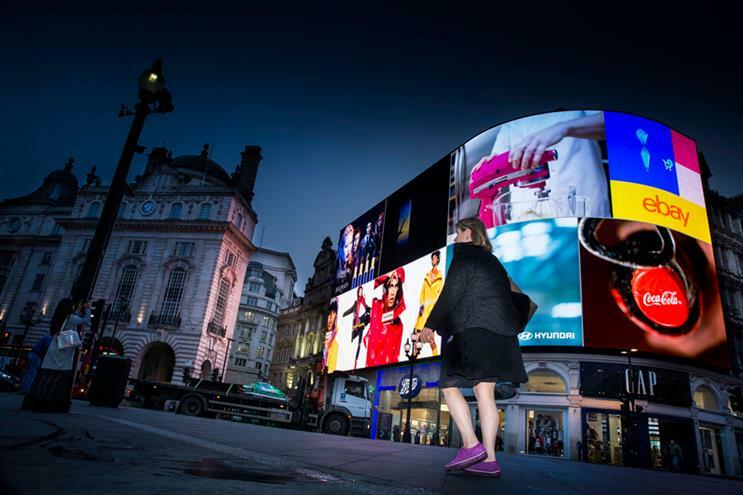 The outdoor company’s portfolio includes the Piccadilly Lights, the BFI London IMAX, Westfield's Holland Park Roundabout and the Birmingham Media Eyes, plus sites in Manchester, Edinburgh and Glasgow. Aryeh B Bourkoff, the founder of media investment bank LionTree, and Andrew Barron, chairman of Com Hem, a Swedish telecoms firm, are the prime movers in Ocelot Partners. Shares in Ocelot Partners have been suspended, pending approval of the deal. Bleakley said: "It’s good news for Ocean and we hope it will be good news for the industry. We’re very ambitious to give Ocean a bigger platform to ply our trade." "All the management are staying. We are very passionate about the business and will be reinvesting in the business. "We’ve gone through three lots of private equity ownership – each time for three or four years. Now we have financial backing and stability to focus on the business [for the long term]. "We’ve been trying to disrupt the industry and move the industry forward, so we jumped at the chance to have a permanent home. "The fact the industry has an opportunity to consolidate is no secret but it is very difficult. There are definitely opportunities to expand." Ocean Outdoor has an enterprise valuation of £200m, including debt, according to the stock market disclosure by Ocelot Partners. It had turnover of £67m and profits before exceptional items including debt (Ebitda) of £16m last year. Revenue and Ebitda have grown at a compound rate of 7.2% and 9.0% since 2015. Turnover should increase in "the high single digits" in 2018. Exterion Media, Clear Channel, Primesight, Outdoor Plus and Talon Outdoor all have private equity owners or investors.